Gingerbread (Android 2.3) for the DROID X has been leaked/released and we’ve got the benchmarks for you. Prepare to be impressed by a phone who still only has a 1GHz single-core processor and 512MB of RAM. Who would have thought that a software update could make a phone feel and perform better than it ever has? 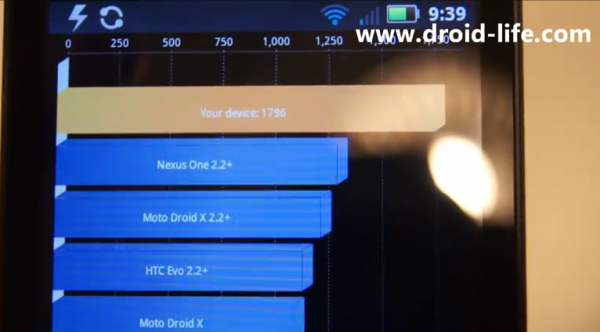 Update: Benchmarks of the DROID 2 and DROID X vs. Thunderbolt.